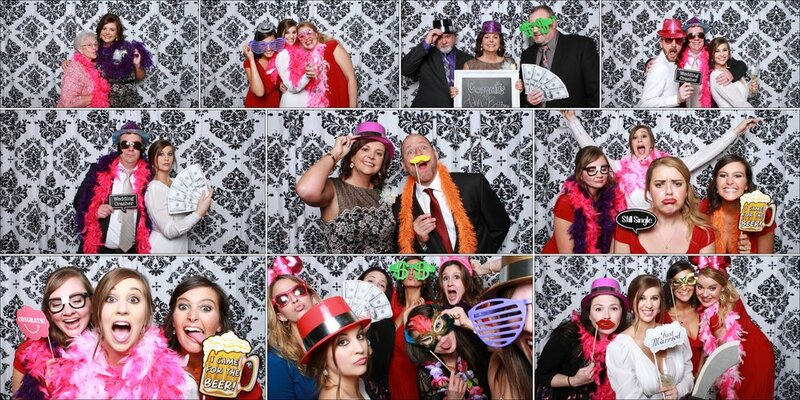 The Potter Photo Booth is a great addition to any wedding or event. We supply the booth, the props, and the prints… you supply the party. The booth is completely portable and takes about an hour set up time; all we need is electricity. Your guests will receive VIP treatment as they grab their props and enter the booth. After they strike three poses, your guests will receive a keepsake print immediately outside the booth. A duplicate print and a special note from each guest is then placed into an album that you will receive at the end of your event. The Potter Photo Booth can be added as an extra option at a wedding reception or can be hired for an hourly rate for birthday parties, class reunions, etc. For more information contact us by clicking here or by calling (252) 522-8001.